Alexander Springs | Florida Hikes! 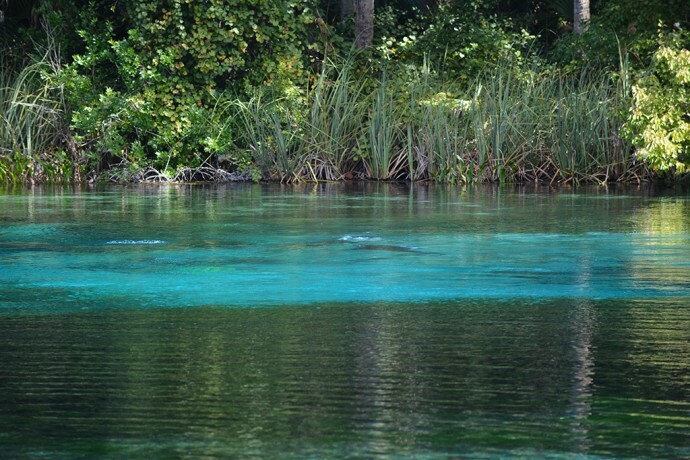 Surrounding one of Florida’s most picturesque first magnitude springs, Alexander Springs Recreation Area provides visitors with many options to enjoy the spring and the woodlands around the spring basin. It’s a popular destination for families thanks to the broad spring basin pool, which has a sandy bottom and is crystal clear. More than 56 thousand gallons per second bubble up from the spring, which has a rocky entrance that slopes to about 25 feet in depth. 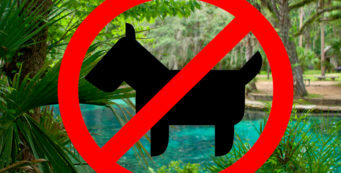 Dogs and bicycles are permitted in the campground, but not in the day use recreation area. Along CR 445 between Altoona and Astor, south of SR 40 and northeast of SR 19. As the spring generates its own microclimate year-round, the natural vegetation along its edge feels a bit tropical. 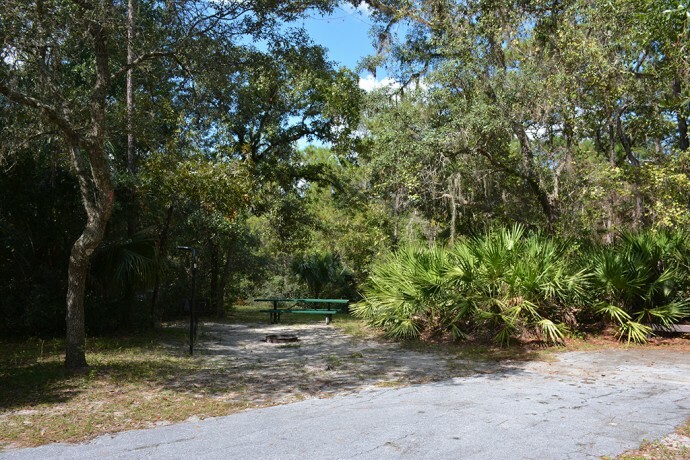 You can explore this natural area along the Timucuan Trail, a loop of less than a mile, by following its boardwalk section through the woods behind the spring, where tiny streams make their way out to the broad run. Providing two observation decks along the way, the trail offers your best views of the spring run by foot. Alexander Run is an extraordinarily beautiful paddling trip as you head downstream from the spring basin. The creek is wider than some of the other nearby spring-fed waterways, like Rock Springs Run and Juniper Run, with vast marshy patches where alligators and wading birds may be seen. You can bring your own watercraft or rent one on site. A concession is open during the busy season, but is often otherwise closed. Call ahead if you plan to rent equipment. Canoe rentals are $16 / 2 hours, $24 / 4 hours, $38 all day. Livery service is no longer provided, but with two cars you can self-shuttle to 52 Landing. While swimming, snorkeling, and diving (additional fee for SCUBA) in the spring are the top reasons people come to Alexander Springs – keeping the place packed on summer weekends, but blissfully quiet on winter weekdays – there are also extensive picnic grounds under the oak canopy on the hillside overlooking the spring, and a well-shaded campground adjoining the entrance. 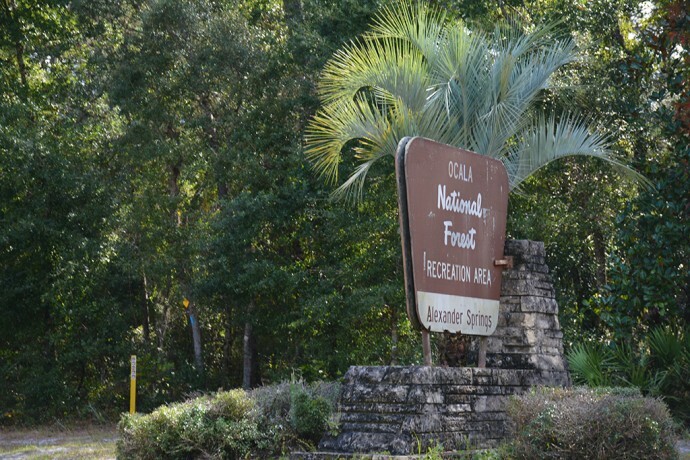 Across the street, a blue-blazed half-mile connector leads to the Florida Trail through the Ocala National Forest, and the Paisley Woods Bicycle Trail, an off-road 22 mile loop towards Clearwater Lake Recreation Area, has its northern terminus off FR 69 not far from the recreation area entrance gate.